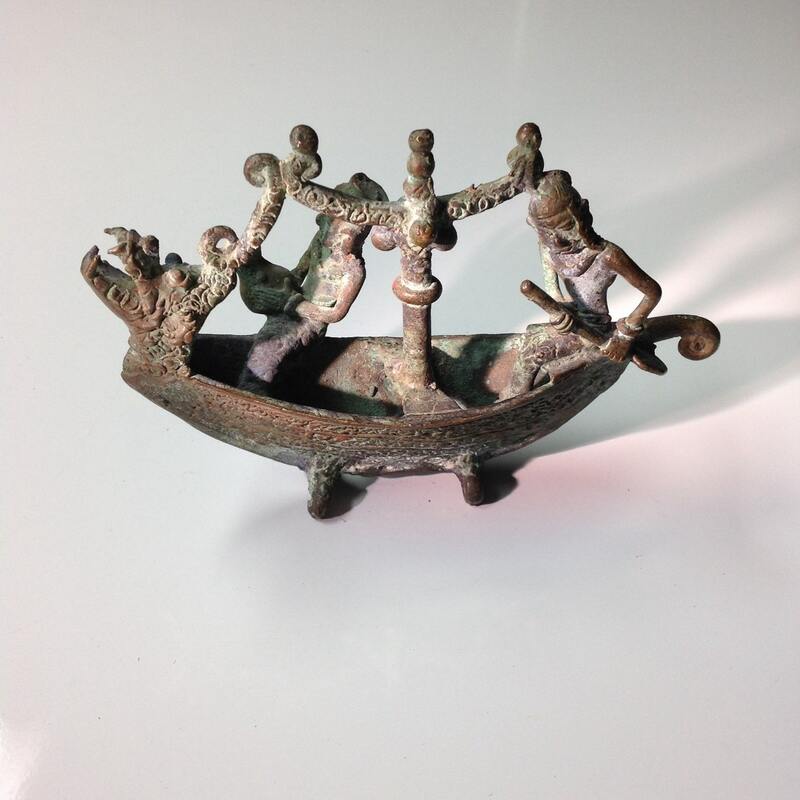 A fascinating antique statue with a deep verdigris patina of two figures in a dragon boat. At the helm, the man steers the boat with a deft paddle close to the gunwhale. 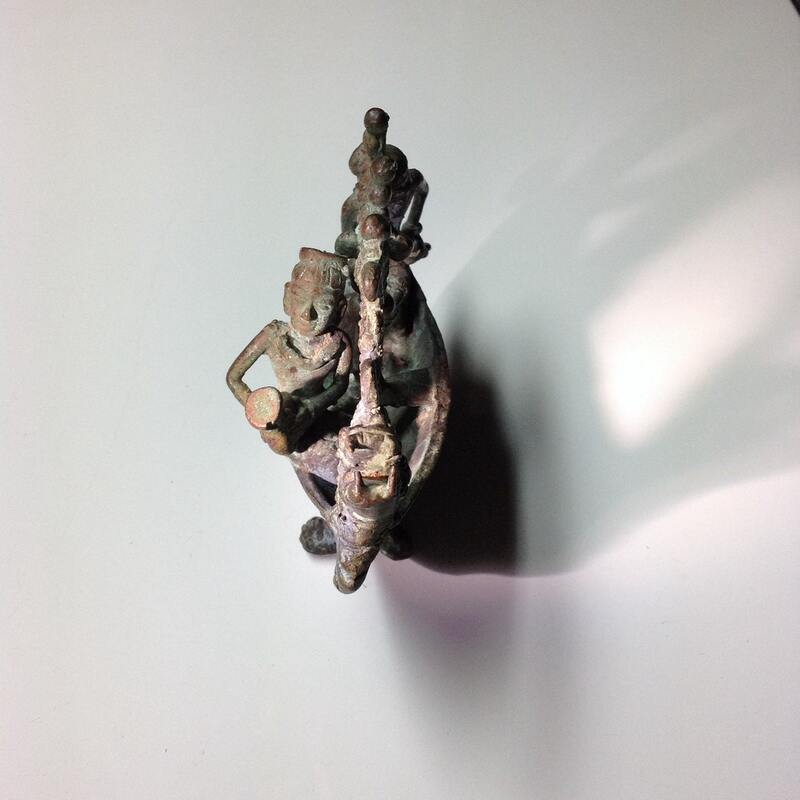 In the bow, another man seems to be emptying a vessel into the water. The scene approximates scattering the ashes of a loved one in the sea. The masted boat's most defining characteristic is the defiant dragon figurehead with bulging eyes and sharp teeth and scales. 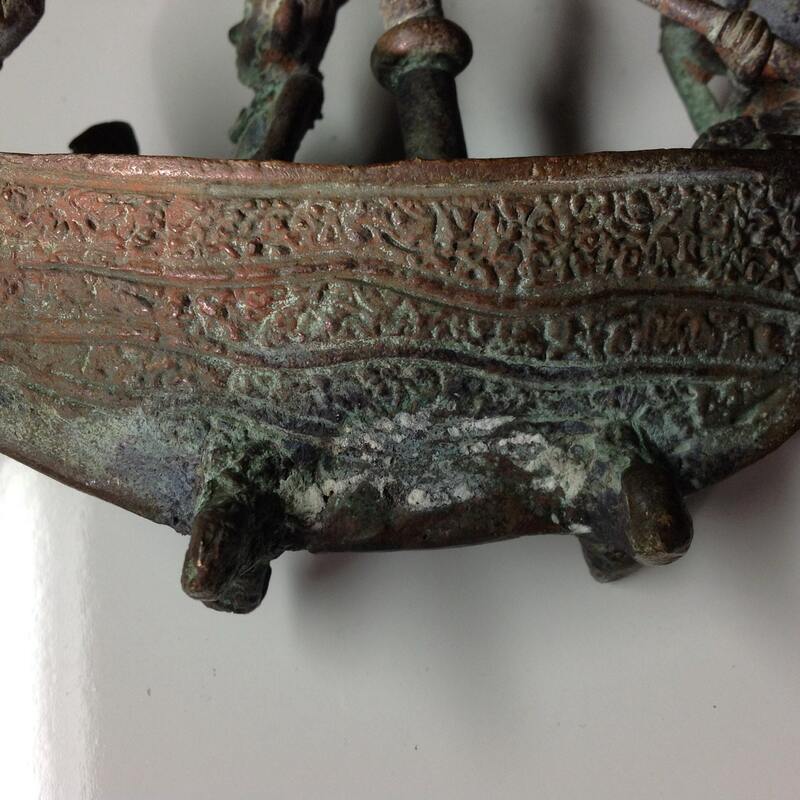 The exterior of the hull is well decorated with cast patterns and has a white crystalline patina at the extreme bottom. 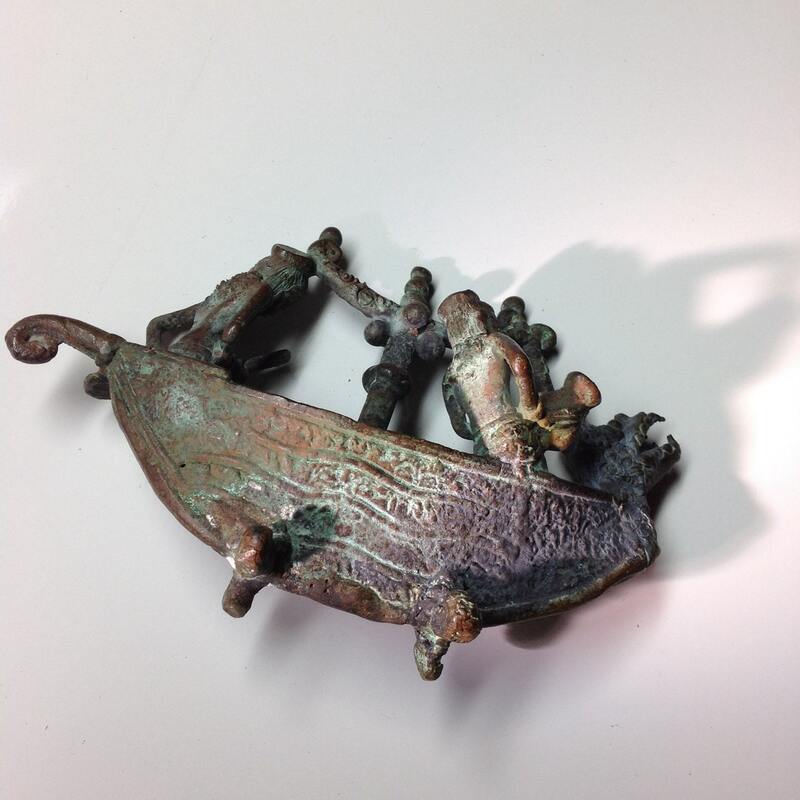 Condition is as you would hope with a serious patina that includes nearly raised crystals of verdigris. No significant bends, cracks, or losses. Height is 10cm (4"). 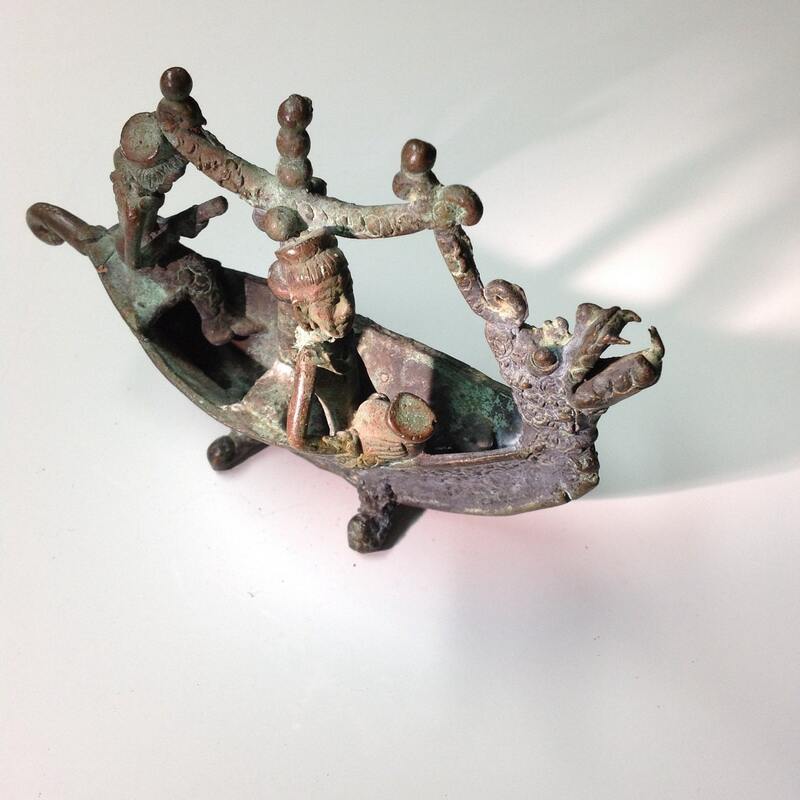 The boat was acquired from a larger lot of Javanese bronze artifacts in a Washington DC area estate auction.